Hello everyone, I apologise in advance for my naivety. 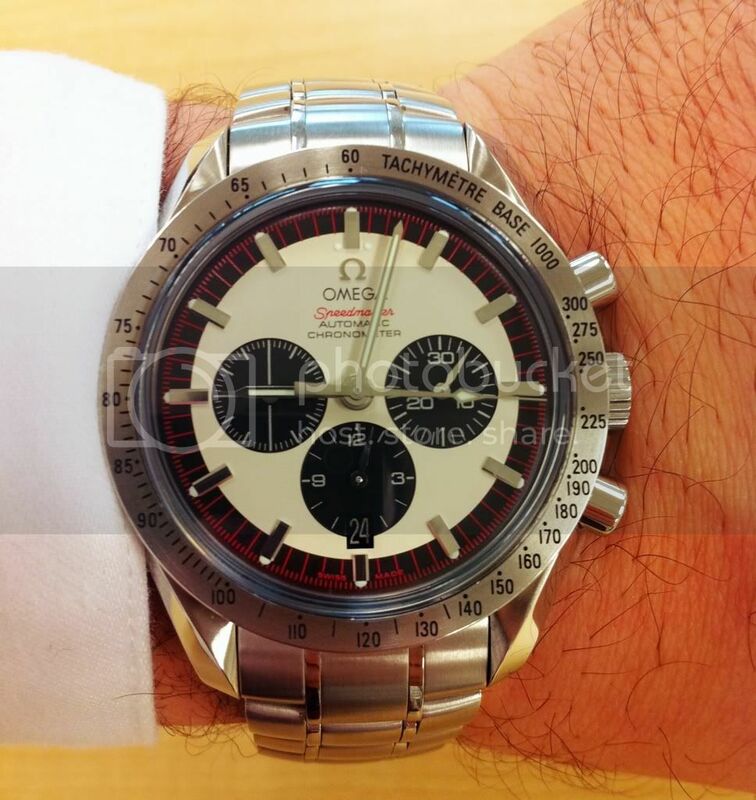 I have just purchased an Omega Speedmaster Professional (calibre No.1861) and thoroughly enjoying it. However, I am having trouble with the small minute and hour counters. The second counter is working fine but the former two are stuck in their neutral positions. I have consulted the manual but no luck in getting them going. I assumed on winding the crown in position 2 for the first time all the small counter dials would work. 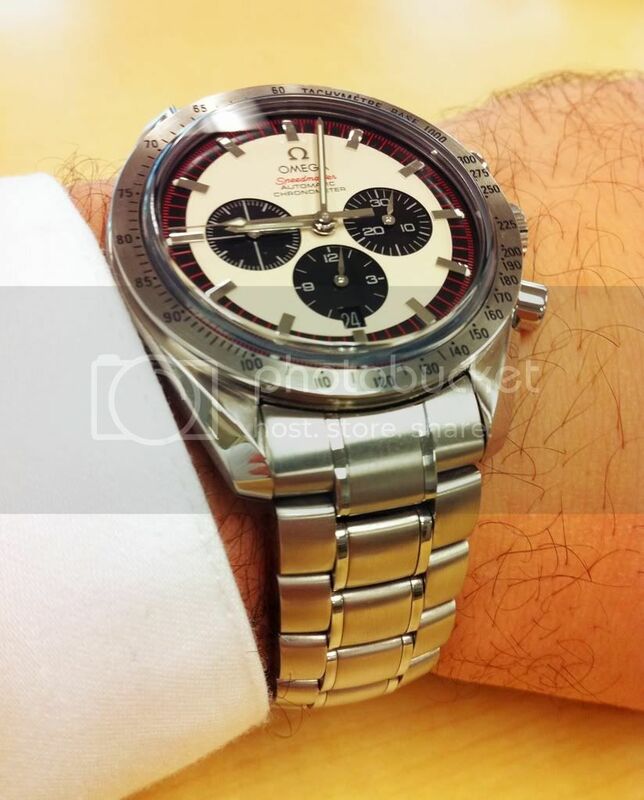 Rasullini, the dials which aren't moving are totalizers for the chronograph, one counts minutes, the other counts hours. They only work while the chrono hand is running. 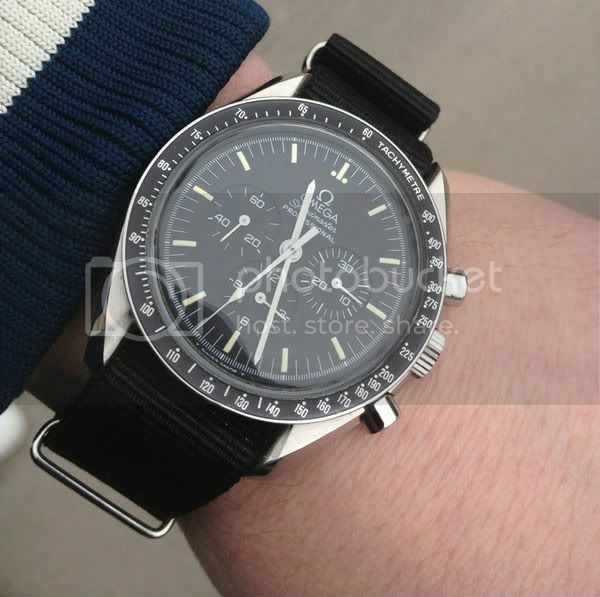 Beautiful pre-moon Speedy. Love the patina. What year Sir? 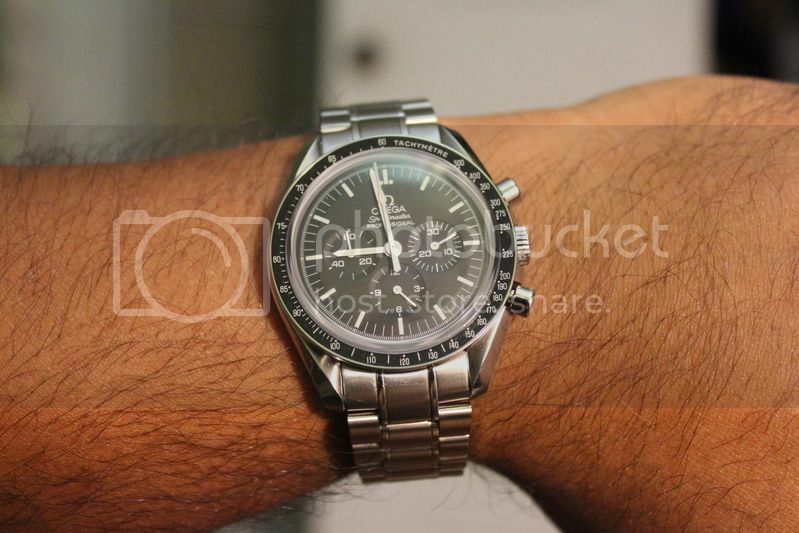 I bought my grail last month new from an AD. They gave me a great deal and there's no sales tax here in Oregon! I got my half link from Ofrei last week and got it put on today. Absolute perfection. I can't tell you guys how happy to be in this club. nikola0406 and SeanoftheDead516 like this. I'm in with my brand new 3570.50! masbret and nikola0406 like this.